Mindfulness has been defined as paying attention on purpose with non-judgment and compassion for ourselves. This can be a bit confusing for those not exposed to this type of daily habit. In order to demystify the process of learning how to meditate, one of the first meditations that an MBSR instructor takes people through is the Raisin meditation. A raisin? you say? Yes a raisin. Imagine for a moment that you were a Martian. An alien that was dropping in on Earth and had to report everything you saw with incredible detail back to the mothership. Now with this mindset, take a raisin and begin reporting. Participants in a Stress Reduction Class take several raisins and place at least one in their hand. I then guide them through a slow (not in a hurry) process. 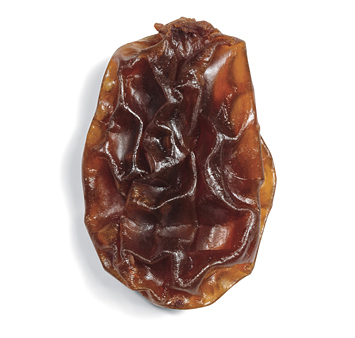 What does this raisin look like? Here I get descriptions such as ridges, bumpy, amber, and purple. Through a myriad of other descriptions we move on to smell, what does a raisin smell like? the answers range earthy, to cinnamon, to nothing which is also an experience. Now a raisin is a dried out grape right? Well holding that dried up grape to our ears and squishing it a bit, what does it sound like? What is that? raisin juice? making that squishy sound? When we’ve exhausted the sometimes creative descriptions, I then invite participants to place that one raisin on their tongue and feel the weight of one raisin. Rolling it around and experiencing on what parts of the tongue the raisin comes alive with differing taste buds. After that we all begin slowly chewing the raisin and observing how the saliva almost immediately comes in and begins transforming as the chewing divides the raisin into smaller and smaller bits. Then when everyone is ready, slowly swallowing the raisin and feeling what the body feels like being one heavier. This is a simple example of taking an everyday practice (eating) and transforming it into a practice of mindfulness. When do we as a society ever eat anything in this way? The aspect many participants always marvel at is how a simple act of eating a little raisin becomes a vivid experience of taste. Jean Kristeller, PhD created a clinically significant program called MB EAT that utilizes mindfulness in eating and has great success rates treating Bulimia, Anorexia, and Binge Eating. When we begin paying attention to the actual signals of the body instead of having 14 conversations in our head, we begin hearing signals like I am thirsty, I am hungry, and I am full. Within the Emotional Eating 101 workshop the Stress Reduction Clinic teaches, we bring out dark (healthy) chocolate and experience an entire session of eating a small piece of chocolate mindfully, a very delicious mindfulness exercise. Take a moment today and even if it is only one bite of food that we would normally gulp down while talking, texting, watching TV, reading, etc. Take a moment to do nothing but actually be present with that one bite of food. When we pair mindfulness in this way to being grateful for that food as well as beginning to wonder where that food comes from and how we can make better, more informed organic choices for the fuel that goes into our bodies and therefore our mind, well a simple mindfulness practice then has the potential to transform a great many things, none the least of which is us.